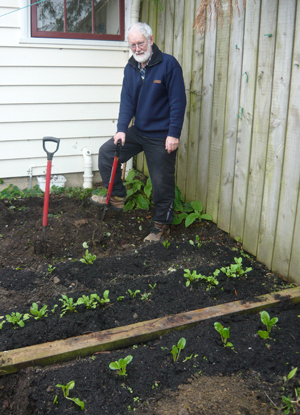 Work has started on revitalising the Randell Cottage Garden. 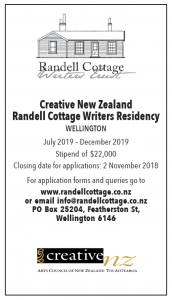 The gardener at the historic Nairn Street Cottage, Hannah Zwartz, has been taken on as the Randell Cottage gardener as part of a project to revitalise the garden. 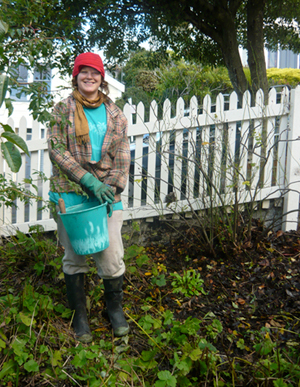 Trustee and Friends of Randell Cottage Chair, Mary McCallum is leading the garden project which includes Hannah (above), her mother Norma McCallum – a keen gardener who has drawn up the garden design – members of the Friends of the Randell Cottage committee, and the Botanic Gardens. The trees have been heavily pruned to let in more light (thanks to the skills of Brett at Classic Aboriculture) and a recent working bee left the garden looking much tidier and more spacious and healthy. Mary expects there will be some plant-swapping between Nairn St and St Mary Street too as the two cottages have a lot in common. This entry was posted in Cottage and tagged Friends, Garden, McCallum, White, Zwartz. Bookmark the permalink.